Need to create advanced sliders with images, videos, posts, social media, and other content? Want to configure every detail of the slider’s animations and appearance? Then you need a plugin like Slider Revolution. Find out how you can get control over every aspect of your sliders in our Slider Revolution review. Slider Revolution was first released in 2012, developed by ThemePunch, a qualified team of web enthusiasts. Since then, it’s been constantly improved and is currently powering over 2.5 million websites all around the globe. These days, Slider Revolution is shipped with a handful of slider templates, a free addon, along with a powerful visual editor to help you create beautiful presentations on your WordPress site. Currently, Slider Revolution is one of the most popular slider plugins in the CodeCanyon marketplace and has received a whopping 85% 5-star ratings. If basic image sliders just won’t do the trick and you need a much more advanced solution, take a look at the Slider Revolution plugin. Slider Revolution is one of the most popular slider plugins for WordPress, and is used on over a million sites. It includes a powerful visual editor with an enormous amount of features and settings so you have control over every detail of your sliders. After installing and activating the plugin, you’ll be brought to the Slider Revolution » Slider Revolution menu screen. To start building your first slider, click on the New Slider link. Now, select the type of content you’d like to display in your slider. You can choose from posts, images, social media, etc. To create an image slider, choose Default Slider. In step 2, enter your slider’s title and a shortcode to use. You must complete Step 2 first and click save before adding your images or doing anything else, or your settings will be lost. If you click anywhere else without first entering a title and saving, all your chosen settings will be erased and you’ll have to enter them again, so be sure to do this first. After saving, you’ll be brought to another page. Don’t worry; you can go back and edit the other settings later if you choose. In the Slide Editor, there’s already a slide added for you, but it’s empty. Select Main / Background Image to add an image to this slide. Then click Change Image to upload or select an image from your media library. Below, you’ll see your image. There are a huge amount of options for editing your slide, adding animations and layers, etc. You can add more images by clicking Add Slide at the top of the page. To display your slider, just use the shortcode shown on the settings page. Instead of taking time to figure out all the complicated options, you can use templates. 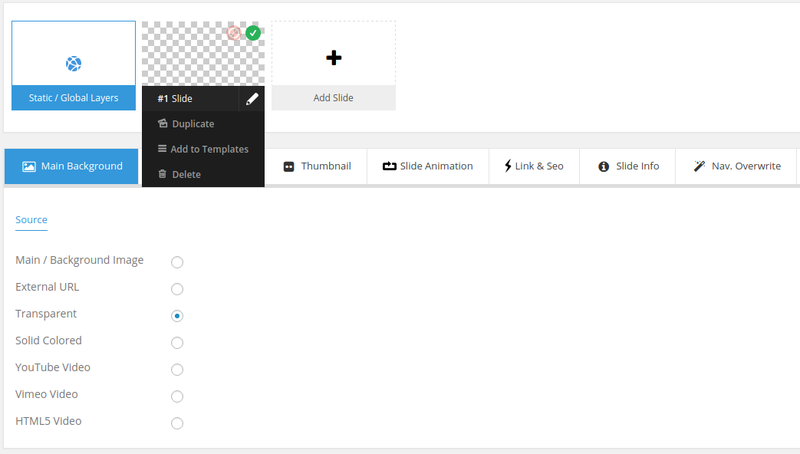 When you click Add a Slider With Templates, you’ll be shown a variety of templates to choose from, both free and premium. Click the template you want, and then click the Install Slider button. 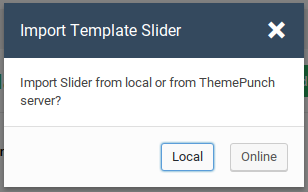 It will ask you if you want to “Import Slider from local or from ThemePunch server.” You’ll have to activate your license to choose the online option, or you can download the zip file from the Free Slider Exchange and click on Local to upload it. Then you can edit the slider as above. Slider Revolution does feature a lot of tutorials with screenshots on their website, walking you through each feature of the plugin. They also have a number of video tutorials. Product support includes feature suggestions, bug fixes, and troubleshooting when the plugin doesn’t work as it should. However, it doesn’t include installation, customization work, or help with issues caused by third-party themes or plugins. After activating your plugin, you’ll have access to their support ticket system, with tickets usually responded to within a day or two. 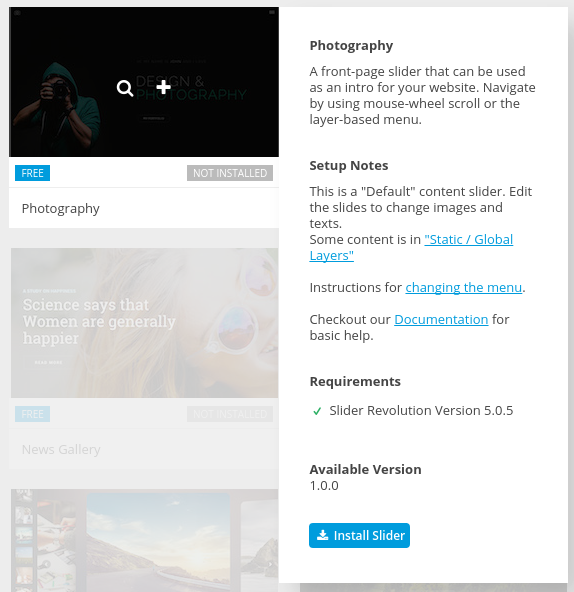 Our top recommended slider plugin for WordPress is Soliloquy. But Slider Revolution is one of the most popular and best selling slider plugins. Is it right for you? Slider Revolution is a very powerful plugin full of a huge amount of features. If you need to create a very advanced slider, you may need Slider Revolution. But most users will not need all the features it offers, and the vast amount of them can be overwhelming and confusing. It can take quite a while to figure out how to create sliders the way you want them. If you don’t have hours to invest in learning to use a plugin, and just want a simple and beginner-friendly tool to create a beautiful responsive slider, we recommend Soliloquy. Read our full review of Soliloquy for more details. Let’s take a look at the pros and cons of the Slider Revolution plugin. If you’re looking for a complete, all-in-one solution to create a slider, carousel, hero image or video scene, Slider Revolution is the best bet. It comes bundled with 140+ ready-to-use examples to help you easily create a presentation for your website. Unlike other popular WordPress slider plugins, all features are packaged with the core plugin. If you want a plugin that gives you loads of features out of the box, without having to install any addons, Slider Revolution could be the best choice. You can purchase the regular license of the plugin for as low as $26. Addons are not sold separately, so you get all the features out of the box with the regular license. Considering the number of features you get for the price, Slider Revolution is, without a doubt, the most affordable slider plugin in the industry. Customization possibilities are endless with Slider Revolution. Its powerful visual editor provides you endless options to create a slider the way you want. You can easily change the style of your slider within the visual editor, including fonts, animation, background, border, etc. Just like most other products in the CodeCanyon marketplace, Slider Revolution’s interface is also bloated with too many overwhelming options. Due to the bloat, there is a bit of a learning curve to create your siders with the plugin. 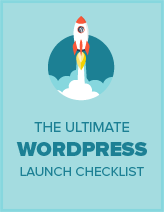 Speed is an important factor when it comes to choosing a WordPress slider. If a slider plugin’s not been optimized for performance, it can slow down your website, hurting your SEO and online reputation. To analyze the performance, we’ve tested Slider Revolution against many other popular WordPress plugins. From our test, it’s evident that Slider Revolution isn’t the fastest slider plugin. Slider Revolution doesn’t offer a free version to try out the basic features. If you’re a person who always want to test drive the lite / free version before investing on the full plugin, Slider Revolution may not be for you. You can purchase the regular license of Slider Revolution for just $26. The regular license allows you to install the plugin on a single site. You’ll also get free support for 6 months and future updates. You can extend support to 12 months for an additional $7.88. If you’re a theme developer who wants to include Slider Revolution as a bundle with your theme, then you’ll need to get an extended license for $125. Our Verdict: Should You Purchase Slider Revolution? 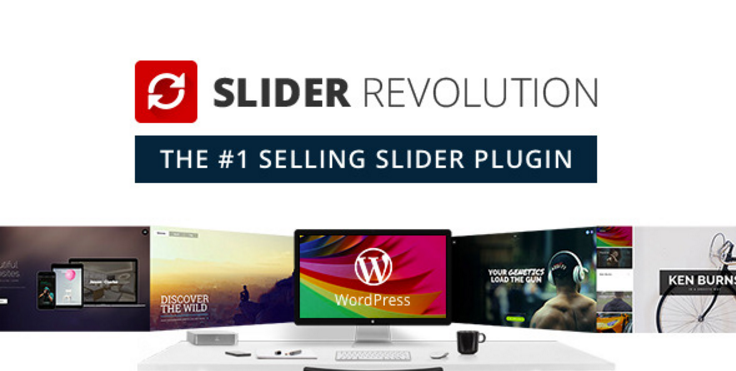 Slider Revolution is the best choice for users who want an all-in-one premium slider plugin that comes under budget. With Slider Revolution, you get all features out of the box, no need to install any addons. However, this also means that your interface will be bloated with too many unwanted options. There’s a bit of learning curve to create your sliders with Slider Revolution. The plugin’s constantly been maintained and updated since 2012. So if you’re looking for a reliable WordPress slider plugin, you’ll need to give Slider Revolution a try. I tried this plugin and worked with it a couple of hours. The only thing what I found was it does not work properly, is diffucult to use and not really good documented. I will delete it and never use it again! rev slider is a piece of junk. it doesn’t work and theme punch will not refund your money once you purchase even if the product does not work! do not buy! Hello, it works, although there may be some compatibility conflicts with other plugins, for example, with the “wp-webp” plugin. You can not put texts in slides, with both plugins active. What a piece of trash…seriously, i’ll had to instal internet explorer to find out that this slider does not support video backgrounds in chrome… what the hell? Slider Revolution is a constant cause of problems on many of the sites I’ve worked from over different agencies I’ve worked for. Usually causing the site to slow down or conflicting with other plugins. WP Engine support also said something similar. Normally just build a slider myself, but clients sometimes just like to install this themselves and then contact us when problems start happening shortly after!